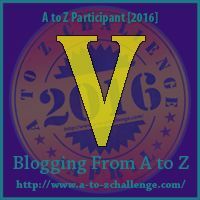 The Writing Bug: "V" Vegas, Baby! I am not here right now. I am on a brief sabbatical in the picturesque desert city known as Las Vegas. I'm doing research for an upcoming book series as well as taking it easy. The last few months have been crazy, and the next look just as exciting. Some believe Vegas is nothing but a hedonistic oasis in the sand filled with scantily-clad women, overpriced drinks, and representatives of most of the Seven Deadly Sins. Well, of course it is! It's Vegas! However, to a writer it is more. Like other metropolitan areas, Las Vegas is a microcosm of the world. And, to use a gambling term, it's a jackpot for story ideas. Picture some of the images of this grand Nevada city. Feathered showgirls standing near the Bellagio fountains waiting for people to have their picture taken with them for a fee. A gaggle of Evlises, or is it Elvii, hanging around the old downtown area. The chain-smoking senior citizen that sits at one slot machine starting at 9 a.m. ... and never leaves! By the way, strong bladder on that one. And what about the despondent gambler who walks down the street, hands in pockets, trying to figure out where all their money went. Sit at one of the cafes on the Strip or hang out under the canopy of Fremont Street and story ideas are going to pass you by. Older gamblers who regale others about Vegas' good old days. Families shocked at the half-naked men posing for photos in the middle of the street. Young men and ladies, dressed to the nine's, looking for a partner for a one-time or long-term experience. Vegas can be loud, bright, and smoky. However, we writers are good at peeling away all of the extras to get to the pureness of an event. Still, if it gets too much for us, we are a short drive away from the desolation and nothingness of the desert that surrounds the city. There are stories waiting for us there as well. And here's the best thing about Las Vegas for authors -- you can stay there for practically nothing. Sure, a night at Caesars Palace or The Venetian isn't cheap. But go a few miles away from the glitz of the Strip and there are accommodations calling you and your laptop for a brainstorming session. Las Vegas is certainly not Venice or Paris -- though you can visit resorts that are like them -- but it is a venue creatives should visit at least once in their lives. Throw some dice, eat an overpriced hot dog, and you may be surprised at what story ideas come about. For shopaholics, the shops at the Aladdin, Caesar's Palace, and all along the Strip are Paradise. Forget gambling. Vegas is a shopper's heaven. Especially if you have a high credit limit on your gold or black card. I mainly have to settle for window shopping. Finding you first the first time on the V day of the #Challenge while out blog hopping from NC. Aren't you pleased that you have made it to the end! 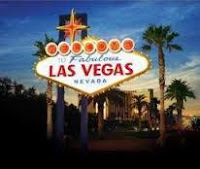 Identify with your writers perspective about using Vegas as an incubator for new story ideas. If you have time or interest, I have been writing about hotels & inns, their architecture and architects, the setting where they are located. Hope to see you. Whatever you do in Vegas, I hope luck is a lady for you. Deborah, I window gazed in the Shops at Crystals at the Aria. I would have needed a loan to purchase the items sold at the stores there. Stepheny, thanks for your comments. I already have a number of novel ideas and a nonfiction article from Vegas. Abbie, it was. I won about $50 dollars and got paid another $70 for TV research. A good trip overall.